A few weeks ago, I received two letters within twenty-four hours of one another, both of which expressed similar dilemmas. When I am in the midst of pursuing other [careers], in the back of my mind is that little voice telling me, “You are meant to be a writer.” I do know that is what I want to do with my life. I hope to maybe write children’s books. But the only thing holding me back is the fact that I do not know what to write about. The fear of not knowing causes me to be too afraid to even pick up a pen. Do you have any advice? 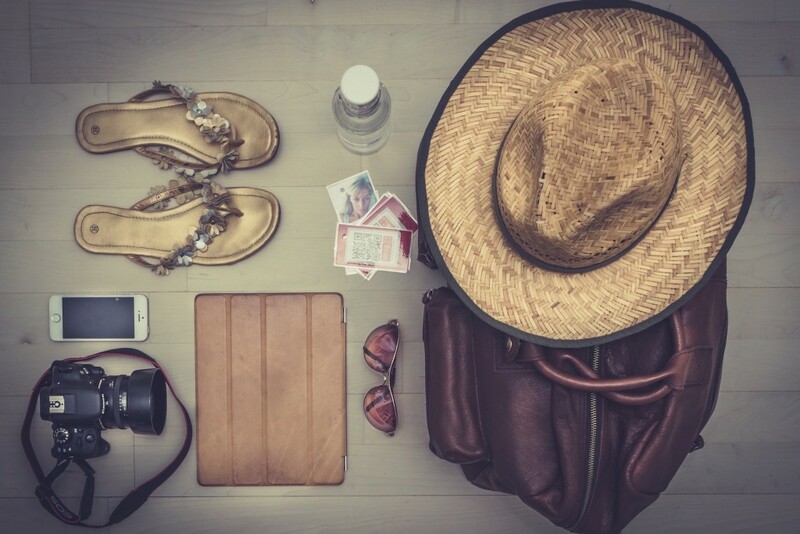 I’m going to my home town for the summer, and I would like to write a novel within the 3 months that I will be there. I know that I have a lot of inspiration, but the RIGHT idea never comes to me. I have so many ideas, but none make me feel like I have to write about them. What should I do? On one hand, the question of “What should I write about,” is a difficult one to answer, but it’s also something a lot of aspiring writers face. The second reader is unable to focus on which inspirations are story-worthy. I’m going to respond to each of these aspects in separate posts. I’ll even use some pictures my husband and I have taken so far during our trip home to Canada. Get outdoors. 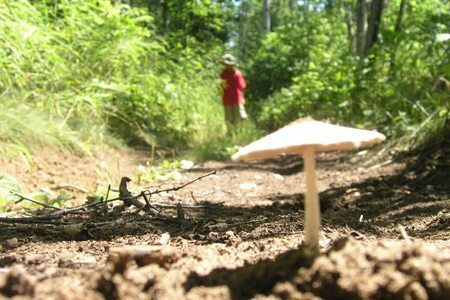 This is a picture of my eldest son exploring a forest trail. I grew up in a northern part of Canada, where we spent at least six months out of every year indoors–hardly good for the muse. Take advantage of fine weather by going for a walk or a run. Ride your bike or take your kids to the park. If the weather’s a little more frightful, bundle yourself up as best you can, and head out anyway. Even a short stroll outside can be enough to inspire new ideas. Really LOOK at things around you. As you can see in this photograph, my husband is working on finding creative subjects and angles for his pictures. 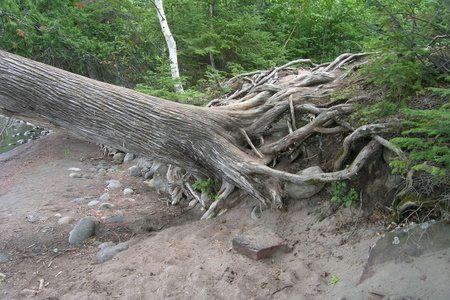 We’re constantly surrounded by nature’s lovely details, like the twisted roots of this fallen tree we found on the shores of an inland lake. Try to see ordinary things from a new perspective, and you just might find inspiration for a new story. Create something. Anything. 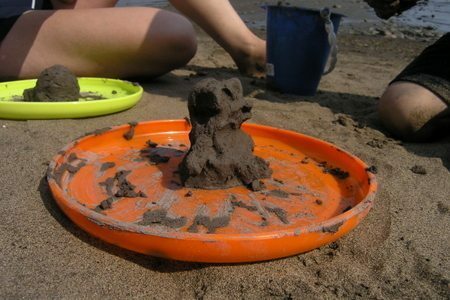 My son and sister-in-law spent a recent afternoon gathering clay from the sandy floor of Lake Superior, then creating their own statues. The one in the forefront is my son’s (it’s supposed to be E.T. the Extra-Terrestrial). Spend some time creating something in with a medium other than words: compose a melody; draw or paint a picture; sculpt or carve something. You’d be surprised how one creative activity often leads to another. Listen to sounds you’ve never noticed before. 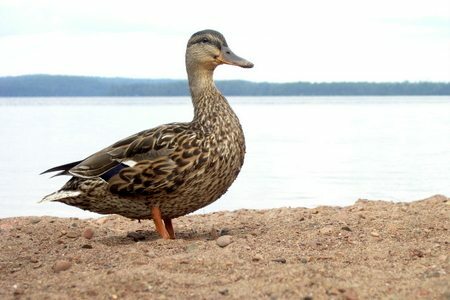 When I woke up here in Canada one morning last week, I noticed the distinctive call of a bird outside my window (it wasn’t this pretty little duck we fed on the beach, but close enough). Although it was a trill I’d often heard in childhood, I’d never really stopped to listen to it the way I did that particular morning. In Australia, one wakes to the call of many birds all at once; but here in the north, I realize it’s common to only hear one. Really make an effort to notice the sounds around you, and don’t take them for granted. Be very still, and let inspiration find you. 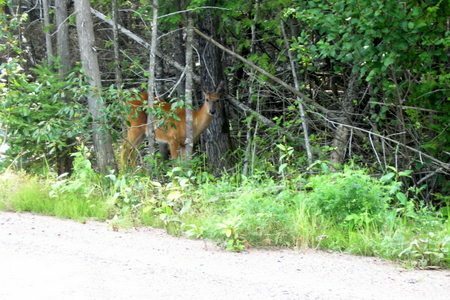 As we drove through a national park, we saw this deer peeking at us by the side of the road. Later, as we set up our chairs and picnic on the beach, a family of deer approached us and drank from the lake. All we had to do was be still and let them come to us. The scene was such a peaceful one, I doubt I’ll be forgetting it in a hurry. Of course, there are a thousand other ways to get inspired to write, none of which involve photos of my family’s vacation. “Write What You Know.” So, What Do You Know? Come back on Monday to see the next installment of my response, which will cover how to reign-in all that inspiration, and focus on the ideas that can really work. What works best for you when you want to get inspired to write? What doesn’t work? I would also add that sometimes you need to just write your way in…meaning, just start writing something…anything! The sooner you write that first (or seventh) crappy book the sooner you will write a good one. When one has the GREAT idea that can almost be more daunting. Get some practice on the not great ideas. The more your write the more ideas you will have. This I firmly believe. I think it’s a great idea to get practice on all the not-so-great ideas, mainly so that you don’t end up wasting your great ideas when they come to you a bit later! Thanks. So many ideas pop into my head when I’m riding pillion on my husband’s motor bike. The restricted view through the helmet really brings things into focus. When I notice something I want to look at more closely, I need to turn my head and LOOK. Only drawback – I’ve not learnt how to write on the bike! How’s life? That’s great you’re on vacay in Canada. I really enjoyed the photography and lessons in your post — especially the twisted roots. Also, I’ve been meaning to congratulate you on being a contributor to The Daily Brainstorm. Life is good, enjoying our vacation immensely! How are things with you? I’m glad you enjoyed the photographs, and thank you for your best wishes about The Daily Brainstorm. It really seems to be taking off. Hope things are well with you, and thanks for stopping by! The overarching message of this post seems to be, “look for inspiration in everything.” I really enjoyed each tip here. I find that when my “writer-brain” is off it helps to do quite a few of the things you recommend here all at once. Shut down for five minutes, focus on your breathing, then maybe head out for a walk. Sometimes it takes a forty minute walk and other times the ideas start flowing almost immediately. Being from Minnesota I know how tough it can be to go out in the winter, but you can use your time getting bundled up to “zen out” before going on a brief, but fulfilling walk.